Founded in 2013, Thrills Casino offers a platform for players to enjoy the latest online games. The Casino offers players a unique gambling experience with a variety of thrilling games from over 13 developers. The Casino is run by Betit Operations Limited and is licensed in Malta as well as the UK Gambling Commission. Thrills Casino offers a unique experience to online gambling fans. The idiosyncratic design of the website is eye-catching and the Casino offers a vast selection of thrilling games. The Casino employs different themes, has solid payouts and promotes safe gambling. Additionally, all the games are available on instant play, and players enjoy generous welcome bonuses, rewarded loyalty, and numerous in-play promotions. Limit: 50 000 EUR per day. Thrill’s Casino jackpot section is the most visited among all the game sections. The Casino has 19 jackpots which feature numerous progressive jackpots. 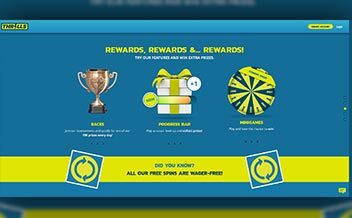 Customers are presented with a chance to win millions by staking a few coins. The progressive jackpot games include; Mega Moolah, Arabian Nights, King Cashalot, Golden Goal, Mega Fortune and Bell of Fortune. Thrills Casino offers a wide range of slot games which are divided into; video slots and classic slots. Both slots have over 300 thrilling games that will definitely keep you on the edge of your seat. The slot games offered at the Casino include; Spinata Grande, Starburst, Dragon Dance, Haunted House and the Wish Master. Thrills Casino offers more than 25 table games for their fans. The Casino through NetEnt provides a host of games that will leave you thrilled for hours. Some of the table games offered by the Casino include; Baccarat, Roulette, Poker and many more. Thrill Casino provides players with a selection of amazing bingo games. The bingo games vary in terms of stake requirement which renders them convenient for players. Some of the bingo games include; Samba bingo, bingo bonanza, Mayan bingo and the Super bonus bingo. Thrills Casino remains a pacesetter in providing live dealer games to its players. The live games clear off the suspicions of players and present a chance to watch croupiers spin the wheel and deal the cards in real time. Some of the common live dealer games offered by the casino include; Baccarat, Hold ‘Em poker, Baccarat, and Roulette. Thrill Casino offers an amazing welcome bonus that is spread through your first four deposits. Your first deposit earns you 100% bonus up to 100€, the second and third deposit you earn you 50% bonus on the same amount while the fourth deposit earns you a whopping 100% bonus. The Casino also has a VIP Loyalty Program where loyal players get to enjoy perks such as no deposit fees, reduced withdrawal waiting periods, VIP tickets to Casino events and a personal VIP customer support. The Casino also has an O-Meter Bonus system that offers customers rewards for hitting bonus rounds. Bonus code is not offered. Staying up to date with the latest information concerning Casino promotions and bonuses is vital to winning. For this reason, this section was created to provide you with the latest developments in Thrills Casino. Keep visiting the section and we will give you the latest information. Thrills Casino incorporates services of some of the renowned game developer in the world. The collaboration between the industry’s greats brings forth an amazing software that provides players with an amazing and thrilling experience. The software developers that the Casino has worked with include; NetEnt, Microgaming, NextGen Gaming, Playtech, Barcrest, Play’n Go, Williams Interactive, Evolution Gaming, Betsoft, Thunderkick, Red Tiger Gaming and many others. 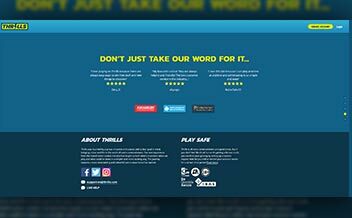 Thrills Casino permits the use of the following modes of banking; MasterCard, Skrill, Neteller, Paysafe Card, Instant Bank Transfer, Visa, Ukash, Trustly, and Zimpler. Thrill Casino restricts its use in the following countries; United States, Turkey, Australia, Bulgaria, China, France, Estonia, Italy, Poland, Russia, Spain, Georgia, Croatia, Bosnia, Pakistan, Moldova, Lithuania, Czech Republic, India, Indonesia, Slovenia, Thailand, Slovakia, Belarus, Bosnia and Herzegovina. Thrill Casino is made available to its players on both instant play and mobile devices. 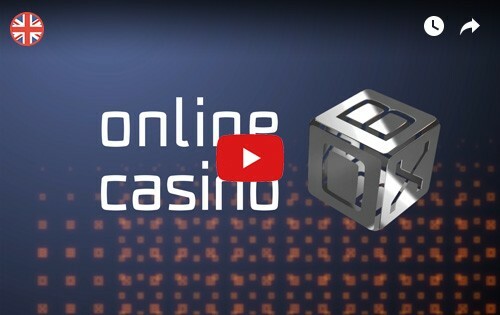 This makes the Casino a convenient platform as players can enjoy playing from anywhere. The website also supports major browsers; Firefox, Chrome, and Opera. Thrills Casino has an alluring website that is modern and distinctive. The website is designed to only allow the player to view the games once they’ve signed up. Its user-friendly interface and simple design makes it easy to navigate. Thrills Casino brings the thrill to the mobile devices in a style that very few can live up to.  The mobile version has witnessed regular updating to improve the customer experience in the comfort of their house. The mobile app allows the player to track their performance via the dashboard. Thrills Casino is regulated and licensed by two of the best regulatory bodies in the online gambling world; Malta Gaming Authority and the UK Gambling Commission. The games offered by the Casino are regularly reviewed to ensure client fair play. The Casino also has encrypted the website with the 128 SSL encryption that protects the client’s gameplay, financial information, and interaction. New players are expected to submit their identification documents for verification and to avoid any fraudulent activities. 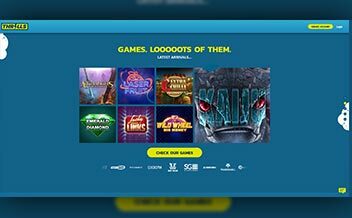 With the vast selection of games, the attractive website design, the amazing bonuses and an astounding customer loyalty program, Thrills Casino provides players with a unique experience. Since its inception, the Casino has continued to provide thrilling games, a robust customer support and a high-end client protection policy. Join Thrills Casino and be sure of a great experience – enter your login and password and enjoy the game!